Wagamama first opened its doors in Bloomsbury, London, in 1992 and in the 25 years since then has grown into a chain of over 120 restaurants in the UK with more than 20 overseas. Wagamama in Norwich has recently undergone a “shiny new” refurbishment and I was lucky enough to be invited along last week with other food bloggers and writers for the official re-opening. I was accompanied by my friend Cathy – an avid foodie like me – and between us we tasted (and tested) a variety of dishes. We met one of Wagamama’s top executive chefs who talked about Wagamama’s food and history. 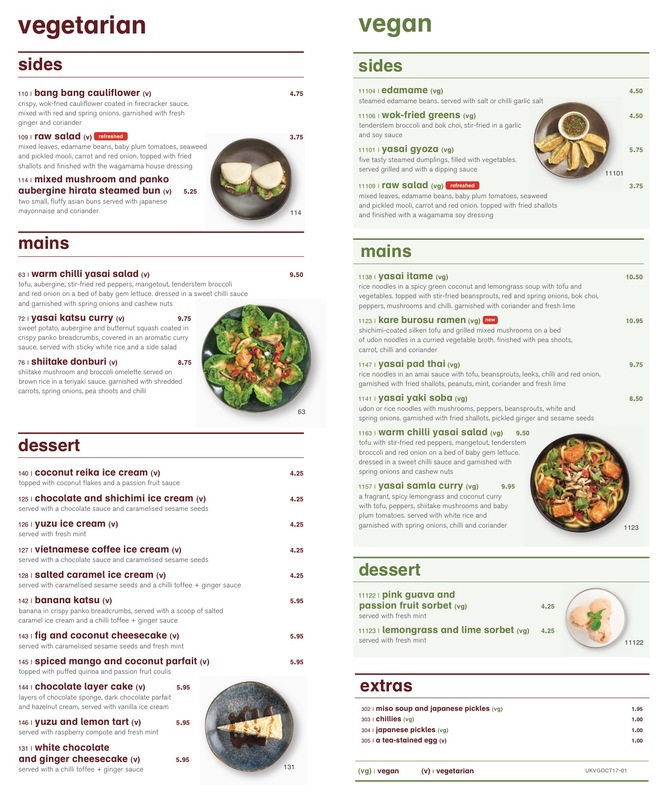 I was particularly interested to see the new vegan menu which offers some delicious meat and dairy free dishes. Before the refurbishment, the restaurant had a slightly clinical feel: bright white walls, a lime green feature wall and plenty of stainless steel. The new décor is a complete contrast: while there is still a white and green theme (but no lime! ), it’s been softened by the addition of exposed brickwork on pillars, wood panelling and a marble bar counter. Copper coloured pendant light fittings cast a warm glow throughout the restaurant and the large wall mirrors – with a hint of copper on the glass add a sense of space. The bench seating has remained and adds a sociable feel to the dining experience. In my opinion, the new colour scheme and feature lighting are very stylish and make the Wagamama experience more relaxing and intimate. The waiting staff whetted our appetites with a selection of side dishes, which were placed in the centre of the long table so that we could all dig in. The pork ribs in a Korean barbecue sauce were very popular as was the chilli squid. 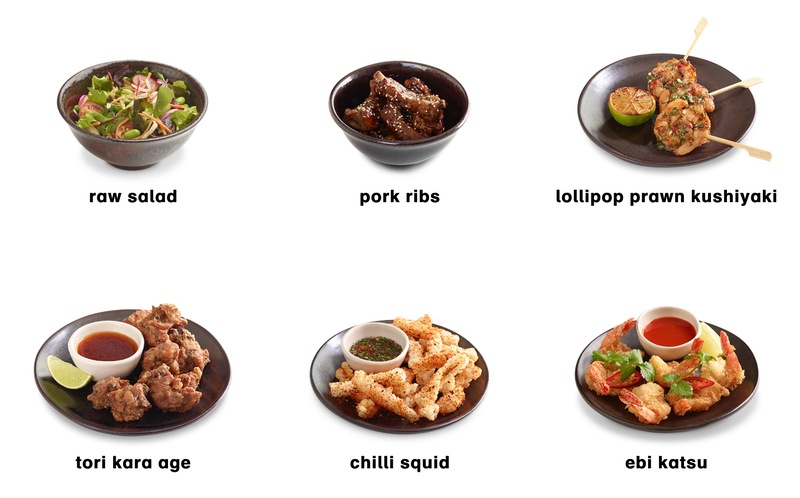 We tried two prawn sides: ebi katsu (crispy fried prawns in panko breadcrumbs served with a spicy chilli and garlic sauce) and lollipop prawn kushiyaki (prawn skewers marinated in lemongrass, lime and chilli). For me, the star of the side dishes was beef tataki: lightly seared marinated steak, thinly sliced and served chilled, dressed with citrus ponzu and Japanese mayonnaise. We chose our own main dishes and each of us ordered something different. I chose the chicken and prawn pad thai (rice noodles in an amai sauce with egg, beansprouts, leeks, chilli and red onion, garnished with fried shallots, peanuts, mint, coriander and fresh lime) while Cathy plumped for the chilli ramen with chicken (a spicy chicken broth topped with red and spring onions, beansprouts, chilli, coriander and fresh lime). I noticed that there was an awful lot of red chilli in Cathy’s bowl but she coped with it admirably! Someone else on our table had selected the Wagamama ramen which was a substantial bowl of food containing chicken, seasoned pork, prawns and mussels in a rich chicken broth with dashi and miso. Another diner had the steak bulgogi which consisted of marinated sirloin steak and miso-fried aubergine served on soba noodles, dressed in a sesame and bulgogi sauce and finished with spring onions, kimchee and half a tea-stained egg. The portions of food were very generous and well presented. The chefs had clearly taken time to ensure that the dishes had visual appeal as well as great flavour. Some desserts then miraculously appeared on our table including a white chocolate and ginger cheesecake that was drizzled with a chilli toffee and ginger sauce, yuzu and lemon tart and a wonderfully moreish cake comprising layers of chocolate sponge, dark chocolate parfait and hazelnut cream with a sleek chocolate mirror glaze. By this time I think we were all quite full but for the purposes of research we valiantly clutched our forks and sampled each of the puds. Well, it would have been rude not to! I should mention at this point that we could have chosen dishes from the vegetarian and vegan menu. 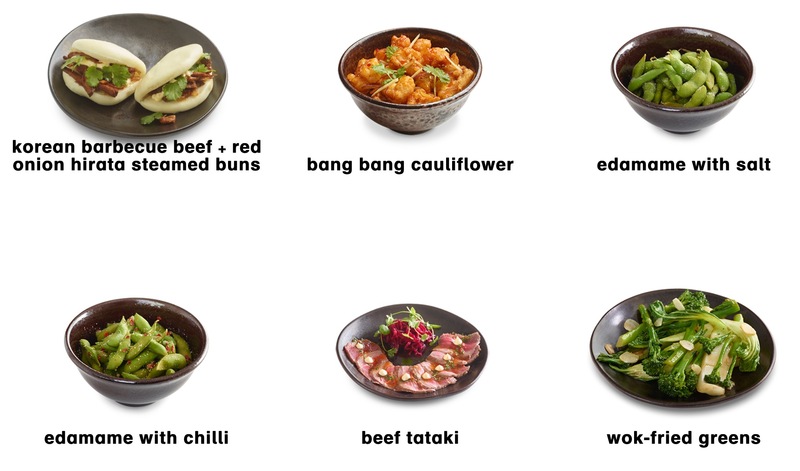 Meat-free at Wagamama doesn’t mean taste-free: side dishes included bang bang cauliflower; mixed aubergine and panko aubergine hirata steamed bun and yasai gyoza with a dipping sauce. For lovers of katsu curry, the vegetarian version consisted of sweet potato, aubergine and butternut squash coated in crispy panko breadcrumbs, covered in an aromatic curry sauce and served with white rice and a side salad. Vegan main courses included yasai pad thai, kare burosu ramen and yasai samla curry. 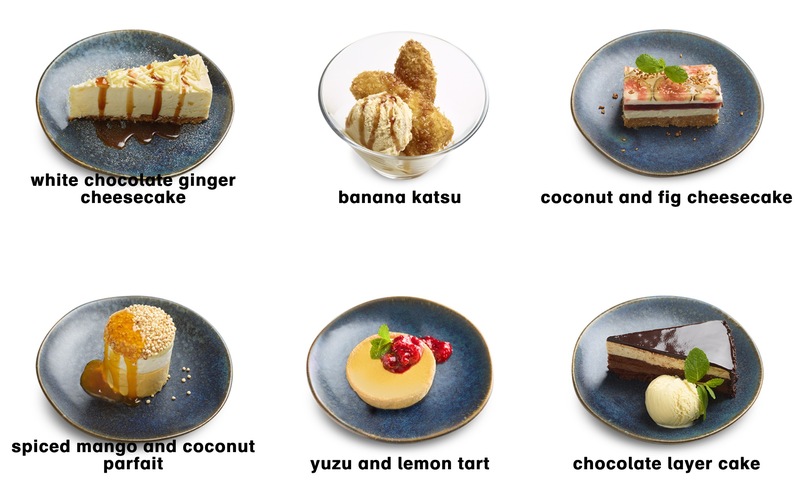 The vegan dessert options were limited to two different flavoured fruit sorbets but I would hope that the Wagamama chefs will soon add more puds to the menu. The drinks selection was varied with a choice of teas, coffee, wines (bottles or by the glass), beer, soft drinks and fresh juices – there was definitely something available to suit everyone. I left Wagamama in Norwich feeling pleasantly full and I will return as soon as I can to try some other things on the menu. 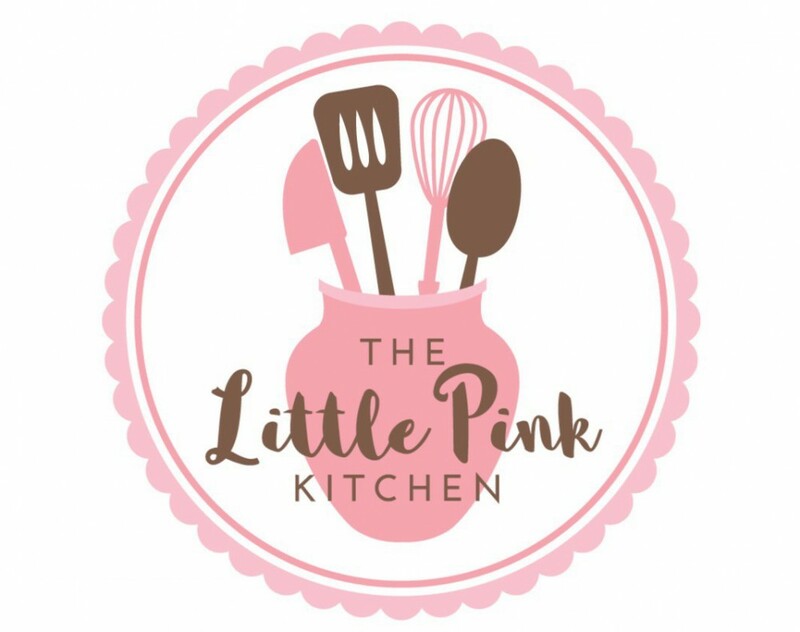 It will take several visits to try everything but I don’t think that’ll be an onerous task! The waiting staff were courteous and attentive and we appreciated the Executive Chef taking time to talk to us about the food, the flavours and the Wagamama ethos. I was invited to Wagamama for a complementary meal in order to review the restaurant following its recent refurbishment. The above reflects my honest opinion of my November 2017 visit. 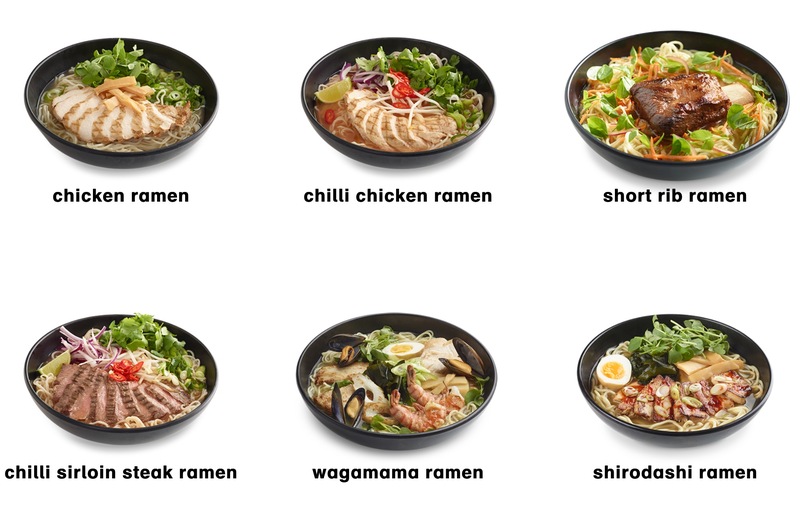 The photographs of the food items are taken from Wagamama’s website.